Most parents do the best they can in their parenting abilities and styles. Most parents love their children and want to provide them with the best childhood they can. Many parents strive to be better parents then their parents were to them. Some lucky ones even try hard to be as great of a parent as their parents were to them. The sad reality is many parents that hurt their children intentionally or unintentionally were also hurt themselves. Many of these hurting parents have experienced their own losses and trauma. The way we were parented creates an attachment style in us. This attachment style is played out in our closest relationships and with those that we love the most. The first step to improving our attachment to others is by being aware of what our attachment style is in the first place. Once you are aware and understand how you attach to your spouse or partner then you can explore ways of improving it and restoring your marriage or relationship with someone you love. There are four main types of attachment styles in adults. They include; secure anxious, avoidant and disorganized attachment. In secure attachment children can pick up the parents sincere desire to be a good parent and the love that they have for them. Parents can make mistakes in their parenting but they repair the “rupture” with the child. Children with a secure attachment see their parent as a secure base from which they can venture out be independent and explore the world. Securely attached adults tend to be more satisfied in their relationships. A secure adult has a similar relationship with their romantic partner, feeling secure and connected, while allowing themselves and their partner to move freely and be his or herself. Secure adults offer support when their partner feels distressed. They also go to their partner for comfort when they feel troubled. Their relationship tends to be honest, open and equal, with both people feeling independent, yet loving toward each other. Using the mirror neurons in our brains we “soak in” the emotional resonance of our parents and their mirror neurons “soak in” ours. The development of a disorganized attachment style comes from the confusion that a child feels from not feeling safe with their parent. In other words, the person they want to go to for safety is the same person they are frightened to be close to. As a result, they have no organized strategy for getting their needs met by others. For instance, when a child is feeling fear they naturally want to go toward their attachment figure, their parent, to be soothed and comforted. But unfortunately there is another part of them that says, I am feeling afraid of that parent and need to get away from the source that is causing me fear and terror. One part says go to my attachment figure and the other part says go away. There is no solution and the system collapses. It is a catch 22. This conundrum impacts children when they are young as well as into adulthood. As adults with disorganized attachment they struggle with emotional regulation and find it difficult to calm themselves down when they are angry. They will often “act out” their inward world of confusion onto others. They often times have difficulty understanding other people’s emotions and reactions. This can result in taking things more personally then they might otherwise. It causes one to be on constant vigilance to determine if people in their environment are safe or unsafe. These individuals tend to find themselves in rocky or dramatic relationships, with many highs and lows. They often have heightened reactions to common relationship issues and emotionally fueled disagreements with their partners. They often have fears of being abandoned but also struggle with being intimate. They may cling to their partner when they feel rejected, then feel trapped when they are close. A person with disorganized attachment may even wind up in an abusive relationship. So are you stuck with your attachment style? The answer is NO! The attachment style you developed as a child based on your relationship with a parent or early caretakers don’t have to define your ways of relating to those you love in your adult life. To be honest it isn’t easy to change your attachment style but it is not impossible with awareness, insight and help. 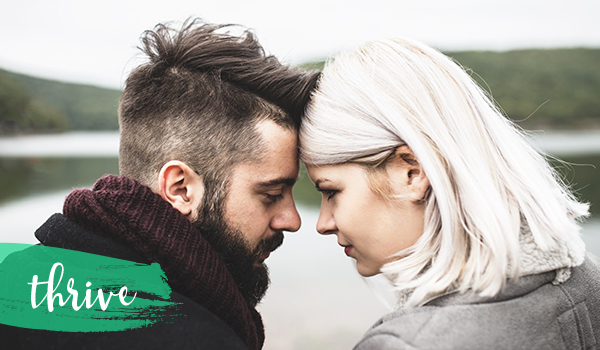 If you come to know your attachment style, you can uncover ways you block yourself from getting close and being emotionally connected to your spouse. Instead, you can work towards forming a “secure attachment.” If you aren’t already married or in a committed relationship then you can choose a partner with a secure attachment style, and work on developing yourself in that relationship. Individual and couples therapy with an attachment trained therapist can help. EMDR (Eye Movement Desensitization Reprocessing) therapy in particular can help you to heal from childhood wounds and change your attachment patterns. Couples can also benefit by participating in EFT (Emotionally Focused Couples Therapy) which is therapy based on attachment theory. By becoming aware of your attachment style, both you and your partner can challenge the insecurities and fears supported by lifelong patterns of relating in relationships and develop new styles of attachment for restoring and sustaining a loving and lasting relationship.